Researchers from the Green IC research group at the National University of Singapore (NUS) have invented a low-cost, no-battery wake-up timer in the form of an on-chip circuit that significantly reduces power consumption of silicon chips for Internet of Things (IoT) sensor nodes. The novel wake-up timer by the NUS team demonstrates for the first time the achievement of power consumption down to true picoWatt range (1 billion times lower than a smart watch). "Overall, this breakthrough is achieved through system-level simplicity via circuit innovation. We have demonstrated silicon chips with substantially lower power that will define the profile of next-generation IoT nodes. 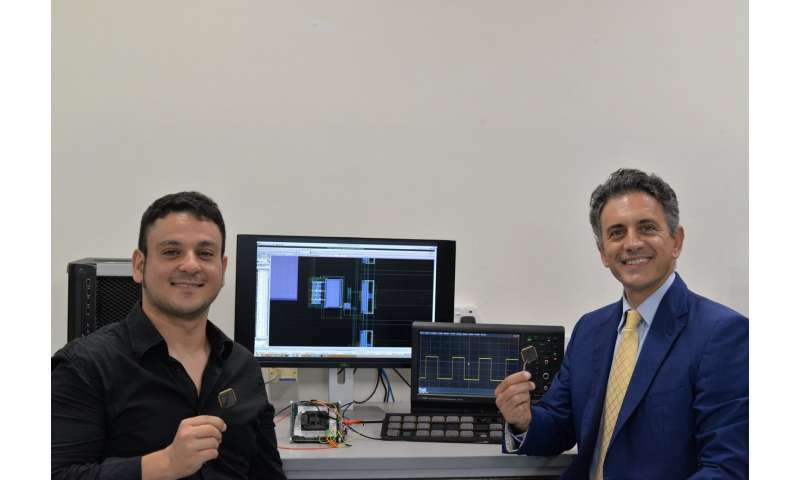 This will contribute towards realising the ultimate vision of inexpensive, millimetre-scale and eventually, battery-free sensor nodes," said research team member Dr. Orazio Aiello, who is a visiting research fellow at the department. The team is currently working on low-cost, easy-to-integrate, energy-autonomous silicon systems with power consumption ranging from picoWatts to sub-nanoWatts. These critical sub-systems will make future battery-free sensors a reality, with the end goal of building a complete battery-free system-on-chip. This will be a major step towards the realisation of the IoT vision worldwide.